The advent of technology has undoubtedly paved the way for a significant change in the education realm. The tech-savvy age has transported education from the confines of classrooms to the interfaces of today’s sleek gadgets. 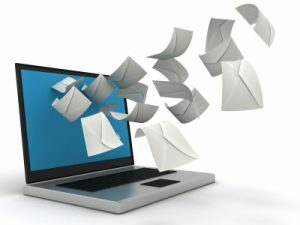 Modern day education technology solutions such as Web-based training (WBT), Computer Based Instruction (CBI) and Virtual Learning Environments (VLE), have diminished geographic barriers and have made learning far more convenient than a decade ago. 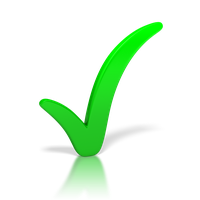 Online self-help video tutorials and virtual classrooms for instance, have alleviated the dependency on institutions, to learn any subject. One must note that visuals and sound has become imperative to the education sector today. Hence, incorporation of cutting-edge technologies such as Augmented Reality, which amalgamate real-world environments with computer-generated sensory inputs to make learning more interactive, has become a trend. In addition to text, e-learning modules consisting of animated 3D illustrations and audio books have become vital to gather knowledge. 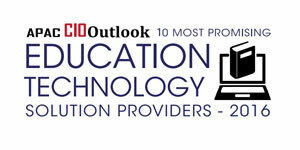 This edition of our magazine intends to highlight the accomplishments of the top education technology solution providers today. The criteria adopted for the enlistment of these top Education Technology players is their ability to offer cost-effective solutions which could also possibly be technological breakthroughs. The compilation is a result of an extensive research and scrutiny conducted by the members of our eminent panel. 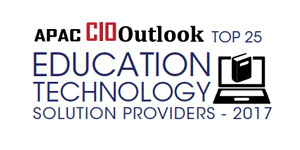 The panel, which comprises of CEOs, CIOs, VCs, analysts and APAC CIO Outlook’s editorial board has identified organizations offering groundbreaking solutions catered to the education sector. We present to you the “Top 25 Education Technology Solution Providers 2017”.